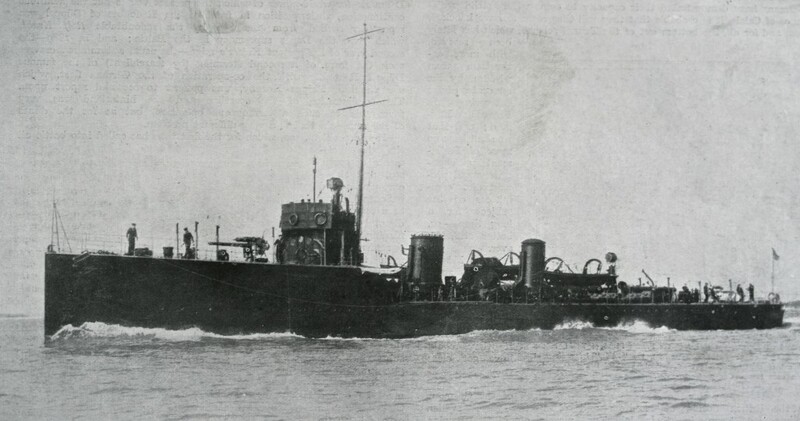 HMS Badger&apos;s memorable role at Jutland was the rescuing of the survivors of HMS Invincible. She rescued two officers and four crew members. 2 shafts run by 2 Parsons geared turbines powered by 3 Yarrow oil fired boilers. Rated 15,000 - 16,500 hp.